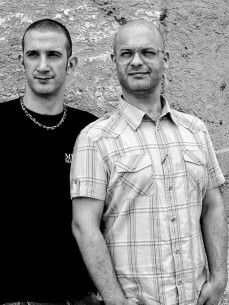 Marco Atella & Luzio Marinelli, aka Rightside, began their producers activities in Rome (Italy) in 1999. Influenced by deep-house and nineties classic house music, they focus their productions in Soulful and Deep House. The first official duo release was in 1999 (All Alone, Revolution Rec), followed by several releases for different labels such as IRMA REC., Save Soul Rec, Reshape, Testimonial Rec, till 2003. In 2008, Rightside compete in their first (and only) self-produced Pop project, with a 3 tracks EP (Give me) ranging from Beat-bossa to chill-out. In 2009, through a famous Italian radio station Radio Deejay contest, they have been selected as a remixer of the single "È troppo facile" made by the Italian artist Meg, which it was then promoted on the radio. From 2012, they are working closely with some of best Soulful House labels on the scene like Quantize Rec, King Street Sound, Solid Ground, Tony Rec, Strobe Rec, Drum Records, and many others. Space Junk, Fuel to Flame, Home Plate, Sutomy, Circle K, Homeplates.